Christopher Williams pleaded guilty Tuesday at the Capital Judicial Center. AUGUSTA — A Rochester, New York, man was sentenced to 18 months in prison Tuesday for selling cocaine and heroin last year in Augusta. 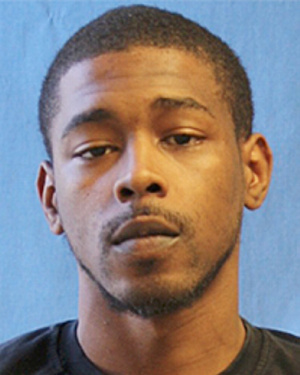 Christopher D. Williams, 25, also known as C-Loc and Lo, had been indicted on charges of aggravated trafficking in heroin and aggravated trafficking in cocaine base, both Nov. 23, 2016, in Augusta. That was the day he and a co-defendant, Larry Murphy, 43, of Augusta, were arrested at 117 Bridge St. in a raid by Augusta police and Maine Drug Enforcement Agency officers. At Tuesday’s hearing in the Capital Judicial Center, the prosecutor, Assistant Attorney General Katie Sibley, amended the charges to unlawful trafficking and Williams pleaded guilty to those counts and agreed to the criminal forfeiture of $780 seized at the time. Sibley said the house had been under surveillance because it was believed people were buying heroin from residents there. She said Williams was found with packaged heroin and cocaine on him. Williams was represented by defense attorney Scott Hess. Justice Michaela Murphy suspended the two $400 fines. She also noted that Williams had no prior felony convictions. He has been held at the Kennebec County jail since his arrest last November.